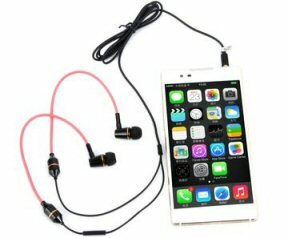 Home » Health Tips , Mobile Health » Do Headphones save you from Cell Phone Radiation ? Do Headphones save you from Cell Phone Radiation ? Some people say that headphones can protect you from radiation. Some people believe that wired headphones will bring more concentrated radiation directly into your ears. Some say that wired headphones are better than Bluetooth headphones, as bluetooth works on radio frequency. So which type of headphones are better ? Answers to all of these questions are available in this article. If you are struggling to find that which type of radiations are emitted by cell phones and if they are harmful for human body then you must read our previous article : Cell phone Radiation. The answer to all the questions rising in your mind depends on how you are using the headphones. Yes Headphones can save your head from the radiation by keeping your cell phone away from your head. Some people say that radiation can travel through wires, but what they miss is that cell phone only transmits the sound frequency in headphone wires. Main radiation occurs at your phone as it communicates with the communication tower which is situated miles away. The frequency needed by your phone to transmit the sound to very small speakers in your headphone located just a few feet away is negligible. The electromagnetic radiation of your headphone is comparatively very less and can't be a health issue unless you use it at high volume for longer duration. But Headphones can't save your body from Cell Phone Radiation ! Yes, as we said in the last paragraph that headphones only saves your head. Headphones are not responsible for rest of the body. If you have put Cell Phone in your shirt pocket or trouser's pocket, then it harms more. Our head have a strong skull, which is a tough bone, that can save us from some radiation but our lower abdominal organs are not protected by any bone cage. Thus our kidneys, liver and reproductive organs become prone to radiation. According to some researches cell phones transmit radio frequency which is a non-ionizing radiation that is comparatively very less harmful than ionizing radiation. Non-ionizing radiation can only heat the body. But constant heat on any organ for longer duration may put some harm. Some researchers believe that putting cell phones in front pockets of trousers may harm sperm quality of men, as it needs very specific temperature. Some people use bluetooth headphones to get rid from hassle of wires. Some people say that bluetooth radiation directly affects the brain. But as per our research on internet, its not so. Compared to radio frequency of cell phone tower and cell phones (which can communicate from distance of miles) the strength of radio signals (bluetooth) between cell phone and bluetooth headphone is very weak, as it needs wireless communication within a range of few feet only. If non-ionizing radiation created by communication between cell phone tower and cell phone can't affect your health apart from just heating the skin, then how can the weak bluetooth communication affect your health. However the researches are still on to know the effect of non-ionizing radiation on health, but the weak bluetooth headphone radiation is very weak to affect human body. So if you are ready to spend few extra bucks to get rid of hassle of wires, then don't stop due to fear of radio frequency radiation. Note: Its a suggestion of betterhealthfacts.com to keep your phone away from your body while talking. Its better to be on safer side. Using headphones can help you in this process. Try to keep your phone on a table instead of your pocket, or in a carry bag while travelling.